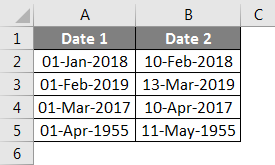 Concatenate Date in Excel | How to Concatenate Date in Excel? 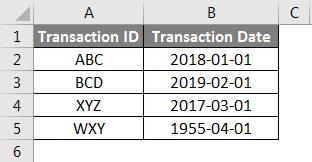 How to Concatenate Date in Excel? Date in some datasets is one of the key parameters while doing an analysis. We can Concatenate Dates in Excel as well as convert them into the desired format like concatenating dates with months and years, converting them into Text format etc. There are various methods to Concatenate Dates in Excel, Concatenate Dates with Time, Convert Concatenated Dates into desired formats. Let’s understand How to do it with a few illustrations. 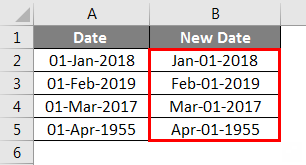 Sometimes the data we have has separate fields specifying “Month” and “Year” and we are required to create a complete date using these two fields. This can be done by using the CONCATENATE() function or the & operator in Excel. Follow the below steps to understand the working of Concatenating Dates in Excel. Let’s consider that we have two fields in the dataset received from the client, namely “Year” and Month, both in numeric format. Our aim is to create a third field with date format. Step 1: Click on the cell where you wish to create the new date and enter the formula below in the destination cell. You can use ‘-‘or ‘/’ as separators. Step 2: By dragging the formula applied to cell C2 till cell C5, we will get the results for remaining data. Step 3: You can also use the following alternative formula for the same result. Step 4: By dragging the formula applied to cell C2 till cell C5, we will get the results for remaining data. However, there is a small caveat in the above method i.e. it does not allow the format of the date to be changed. 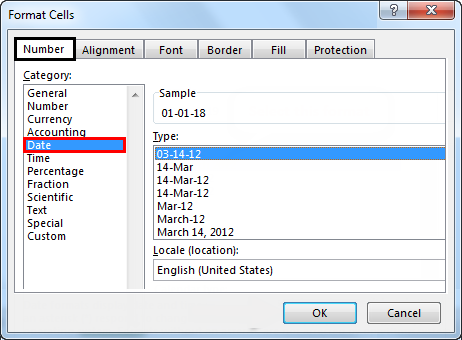 Step 1: Click on the cell where you want to create the new date and enter the formula below in the selected cell. Step 2: Drag the formula applied to cell C2 till cell C5, then we will get the results for remaining data. Step 3: Insert 0 to the value of the new field created. Step 4: Apply the same formula to remaining cells. Result is shown in the below screenshot. Then we will get the result as follows. 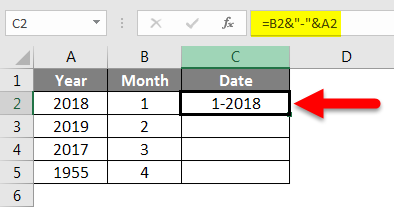 Step 1: Click on the cell where you want to create the new date and enter the formula below in the selected cell to get a date in a specified format. Step 2: After applying the same formula to the remaining cells, we will get the result as follows. 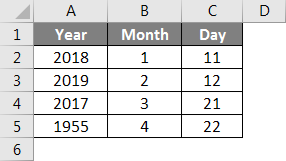 The data can also have separate fields specifying “Day”, “Month” and “Year” and we are required to create a complete date field using all three. 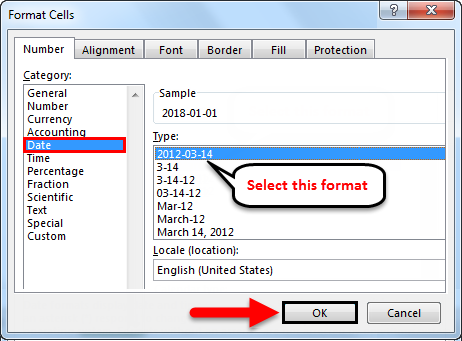 Step 1: Click on the cell where you wish to create the new date and enter the formula below in the selected cell. Step 1: Click on the cell where you wish to create the new concatenated field and enter the formula below in the selected cell. Step 2: Apply the same formula to the remaining cells. The result is shown in the below screenshot. If not, Excel will concatenate its numeric value with the string. 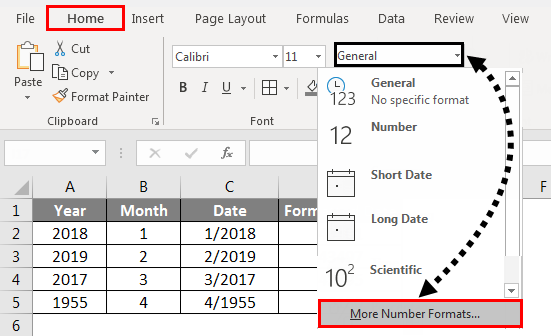 You may also be required to concatenate the date field in excel with a numeric field. This could be tricky business but you need to be careful while concatenating the two. Let’s see how to do it. Step 2: Apply the same formula to all the remaining cells. Result is shown in below screenshot. While concatenating the date and numeric, you must use TEXT() function to specify the format of the date before you concatenate it with the numeric. Step 1: Click on a new cell where you need to store the dates in text format and apply the Text function as given in the below formula. Step 2: Apply the same formula to the remaining cells then we will get the result as follows. Step 3: Select the cell where you wish to create the new concatenated field and enter the formula below in the selected cell. Click on the cell where you wish to create the new field and enter the formula below in the selected cell. Method #2 – The method given above is followed as best practice. However, there is an easier way of implementing the required results as shown below. 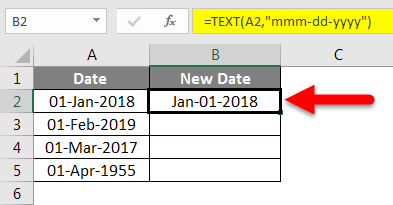 It is very important to know how to use TEXT() function in different scenarios because if it is not used Excel will concatenate the numeric value of date. The order of concatenation of date in excel is very important. 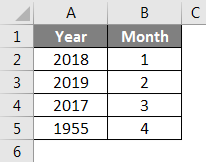 If you concatenate the year and month in order (Year before Month), Excel will not interpret it as a date. 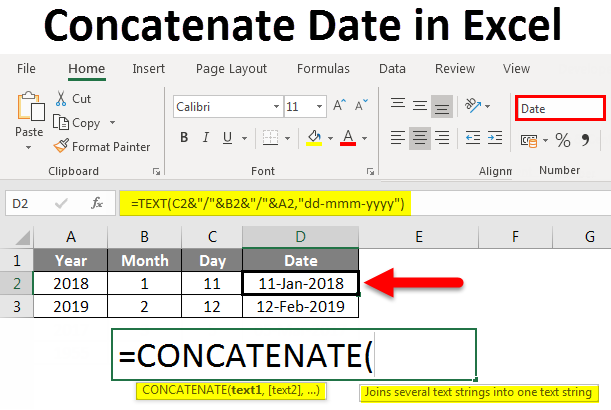 We should know when to use CONCAT() function and CONCATENATE() function to concatenate date in excel, as the former can take a range while in the latter we have to enter the values one by one. How to use TEXT Function in Excel? 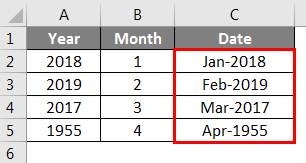 How to Add Months to Dates in Excel?